We provide soccer referee assigning for Boggs and Dowdy Fields in Hollywood, as well as for Miami Shores Soccer Club and Ives Estates Thunder. 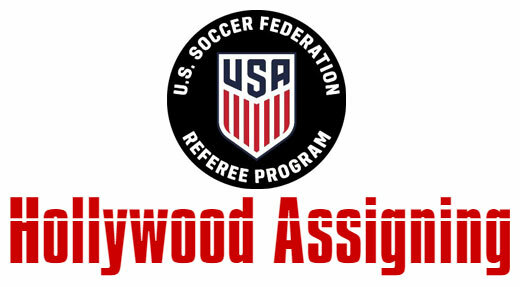 Referee Information - Please fill out all required and as much optional info as possible. Make it easy for us to assign you games. Thanks. Please let us know of any conflicts.